Ban Ki-moon made no comment on who was to blame for the 21 August attack in the Ghouta area of Damascus, as that is not part of the report's remit. Relying entirely on the momentum of its massive media networks and their ability to "will" reality into any shape they please, headlines such as "United Nations' Syria chemical weapons report "overwhelming," shamelessly attempt to link two out of context statements by UN Secretary General Ban Ki Moon regarding the Syria government's "crimes against humanity" and the confirmed use of chemical weapons in Damascus Syria, to place in the mind of readers assigned blame for the attacks. Militant groups operating inside Syria with Western "contractors" (read: mercenaries, see: Blackwater) are more than capable of handling and deploying the weapons, and therefore more than capable of carrying out the attacks in question. The only argument left for the US is whether or not these militants, aligned with Al Qaeda, possess the will or motivation to do so. That doing so and framing the Syrian government would serve as impetus for direct US military intervention and therefore the salvation of the crumbling militant offensive, is more than motivation enough. And while Secretary General Ban Ki Moon's comments were taken out of context, that he has seemingly failed to also call for accountability of Syria's so-called "opposition" smacks of partiality - partiality exhibited by the UN throughout the Syrian conflict. Additionally, the UN's failure to question who in fact is arming, funding, and logistically supporting verified terrorist organizations within and around Syria's borders is equally troubling. 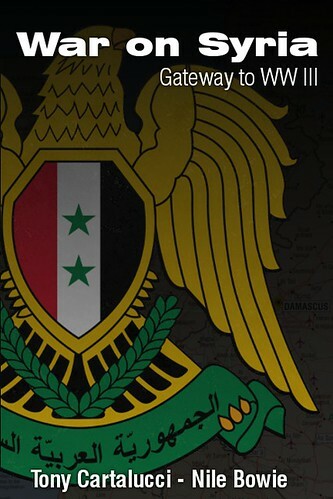 Al Qaeda has been active in Syria since the conflict began, and according to the US State Department's own assessment titled, "Terrorist Designations of the al-Nusrah Front as an Alias for al-Qa'ida in Iraq:"
Could the UN be so out of touch with reality that it doesn't realize an operation of this scale surely is state-sponsored, and that the question of who is funding, arming, and otherwise supporting such an extensive operation never seemed important enough to publicly ask? Examining the UN's role in the Syrian crisis must also include its 2011 UN Human Rights Council's report (full text .pdf), and its most recent report published August of this year (.doc). These are nothing more than a collection of "interviews" conducted abroad with "witnesses" provided by Syrian "opposition groups" and alleged defectors, augmented with fabrications and biased spin provided by Western-funded "NGOs" openly working for armed militants inside Syria. 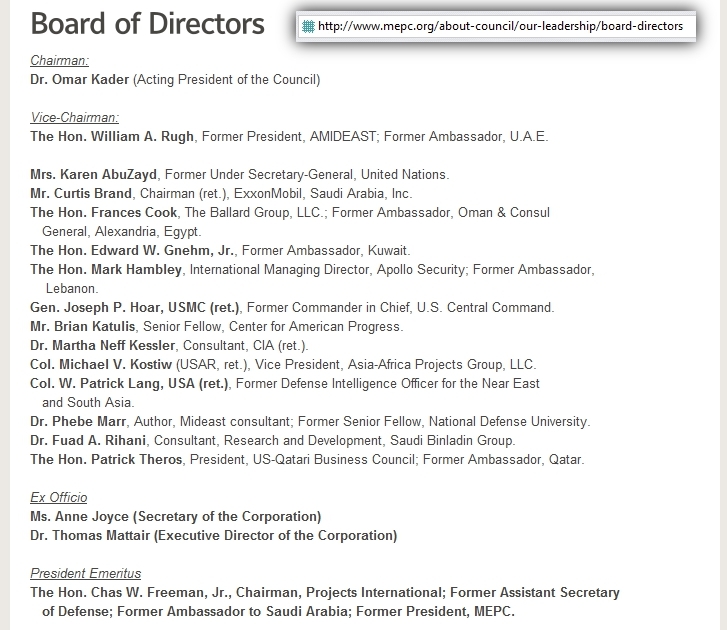 The UN panel for the 2011 report and the more recent 2013 report were co-headed by Karen Koning AbuZayd, a director of the US Washington-based corporate think-tank, Middle East Policy Council. 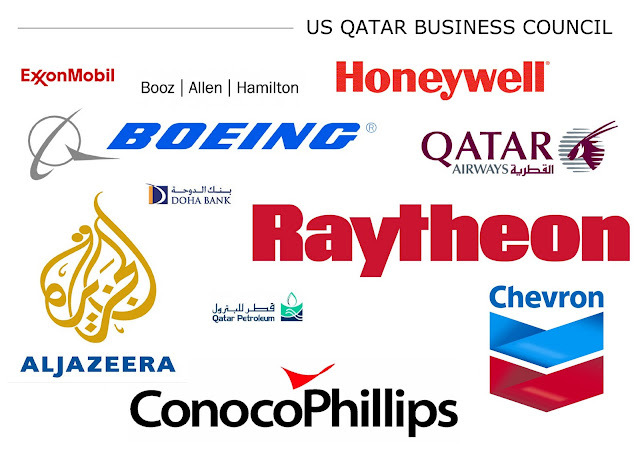 Its board of directors includes Exxon men, CIA agents, representatives of the Saudi Binladin Group (Osama Bin Laden's family business), former ambassadors to Kuwait, Oman, and Qatar, US military and government representatives, and even the president of the US-Qatar Business Council, which includes amongst its membership, AlJazeera, Chevron, Exxon, munitions manufacturer Raytheon (who supplied the opening salvos during NATO's operations against Libya), and Boeing. In other words, the very underwriters of the armed militancy that is consuming Syria, US, Saudi, Qatari, and Israeli interests, are sitting along side the head of the UN commission producing reports portraying the Syrian government as guilty of "war crimes and crimes against humanity." The UN is a diverse organization with both impartial and overtly biased interests busily at work. The utility of the UN's statements, reports, and investigations must be determined not by the rhetoric that surrounds them, spun either by the Secretary General himself or by media organizations abroad, but rather by whatever solid, verifiable evidence that may be present, if it is indeed even present. The 2011 and 2013 UNHRC reports are throw-away propaganda based solely on biased hearsay. The most recent UN report regarding the August 21, 2013 chemical attacks in Damascus, according to the UN itself, DOES NOT ASSIGN BLAME, but merely confirms that chemical weapons were used - a point that is not contended by either side of the conflict. This point above all else, must be kept in mind ahead of a predictable barrage of propaganda by faltering Western interests determined to use the UN report to "confirm" their wholly rejected conclusions and prescribed solutions regarding Syria.